Seriously, is it too much to ask for that your work boots keep your feet dry? It’s definitely not too much to ask, in our opinion, so you’ll find that (and more) in these KEEN Utility 1013258 Mt Vernon waterproof steel toe boots. When you go out hiking or worki ... (see full details) (see specifications) #KEN1013258. Seriously, is it too much to ask for that your work boots keep your feet dry? It’s definitely not too much to ask, in our opinion, so you’ll find that (and more) in these KEEN Utility 1013258 Mt Vernon waterproof steel toe boots. When you go out hiking or working or just plain walking, these puppies will keep you safe and comfortable. These premium shoes are not only Cascade brown, but they’re also American-built. KEEN.Dry waterproof, breathable membranes mean you'll have no more smelly feet. For midfoot support, there are the TPU shanks. These will provide your arches with the extra reinforcement they need, and this will help reduce foot fatigue. In addition, the durable outsoles also meet the ASTM 1677-96 Mark II non-slip testing standards, giving you excellent traction on various terrains. The lining with hydrophobic and hydrophilic 2Zone Comfort Technology keep those in good shape as well. Direct attach PU (polyurethane) midsoles for long-lasting wear, so you can depend on these for a long time. Nubuck waterproof leather uppers will keep precipitation out of your men's shoes. You’ll find left and right asymmetrical steel toes, so you'll have less toe-stubbing and hammer-dropping pain to deal with. Metatomical, dual-density EVA footbeds are sturdy and enduring. You can take these out of the waterproof boots as needed, whether you need to air them out, clean them, or replace them. With safety in mind, the rugged outsoles on this footwear are oil and slip-resistant, and they're also non-marking. The rubber outsoles and locking metal lace hooks are great features. The steel toes meet ASTM F2412-11 and F2413-11 I/75 C/75 EH standards for steel toe protection and electrical hazard coverage. Comfort is, indeed, great to have. Keep your feet dry with these KEEN Utility 1013258 Mt Vernon safety toe boots from Working Person's Store. Add a pair to your cart today! I tried a pair of Keen boots in 2011 on a very large project where I was walking 12 - 16 hours a day for three months solid. After first week my legs and knees quit bothering me and found myself walking out to vehicle without any discomfort. Have owed nothing else since. I am very very hard on boots and wore soles, toes and insides of many brands, some performed better than others but none as well as Keen's. I bought a pair of these about a year ago and they are still going strong but noticed a couple cuts in the leather so won't be long to replace. Still waterproof and comfortable. Toe guard is one of my favorite features since there are times I'm crawling in tight places over abrasive ground that have wore out many leather toes but don't phase these boots at all. My only complaint is the last couple pair I have had to replace the insoles with one with more cushioning. Don't know if they have changed design or what but once I have done that no issues. I did have a pair that quick lace eyelets broke and the company gave me full credit to order new pair which I did and received overnight so great customer service. 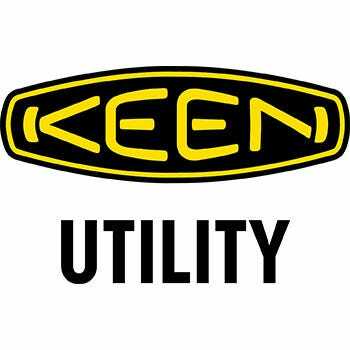 KEEN Utility 1013258 Men's Mt. Vernon Steel Toe Boots is being added to your cart.